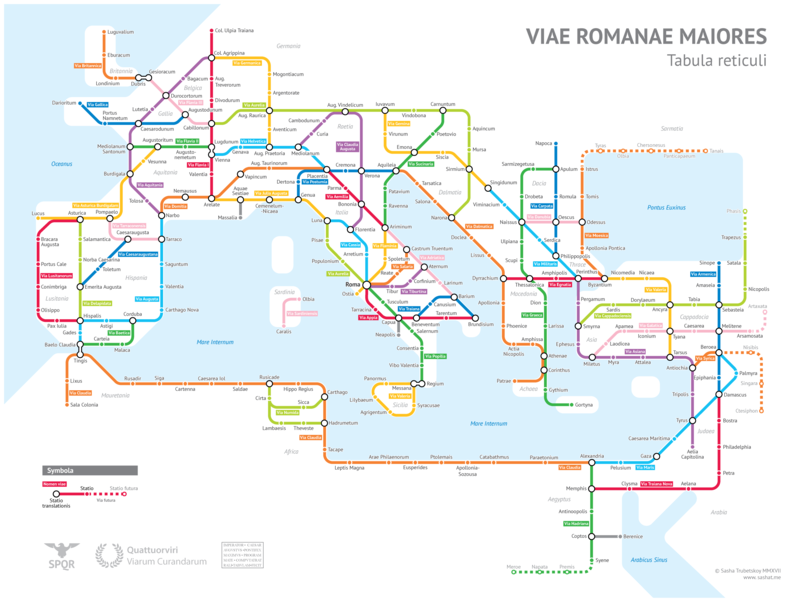 University of Chicago geography major Sasha Trubetskoy created this clever metro map-styled visualization of major Roman roads circa 125 AD. Although he admits to taking some liberties with road names, it’s a brilliant idea. You can learn more about his project on his blog. This entry was posted in Africa, Europe, History, Maps, Public Transport and tagged Metro, Rome. Bookmark the permalink.